Obon or Bon Matusuri is a Japanese custom to honour the spirits of one’s ancestors. Matusuri means Festival. During this time Japanese people return to their ancestral family places and visit and clean their ancestor’s graves. This festival is been celebrated in Japan for the past 500 years. 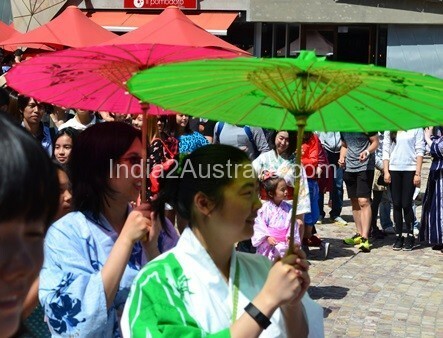 Melbourne, the vibrant multi-cultural destination, adopted this tradition to bring Melbourne’s rich Japanese culture to life. 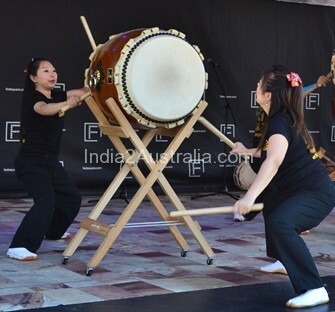 It showcases Japan’s martial artists, drummers, dancers, Japanese food, games and activities. 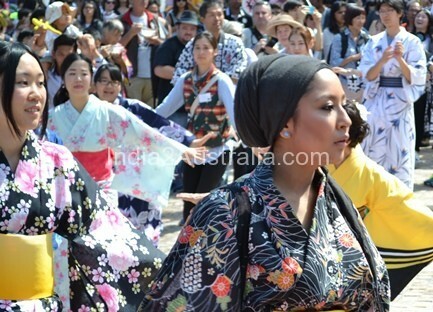 This creates a delightful experience for those with an interest to know Japanese culture and traditions. 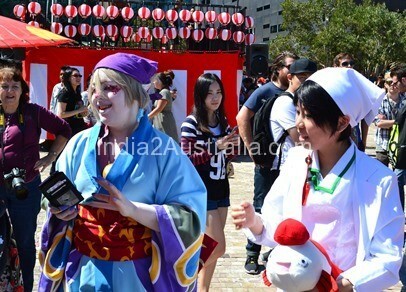 Held every summer, the festival is the best showcase opportunity for Melbournians to get to know Japan, its people and its culture. 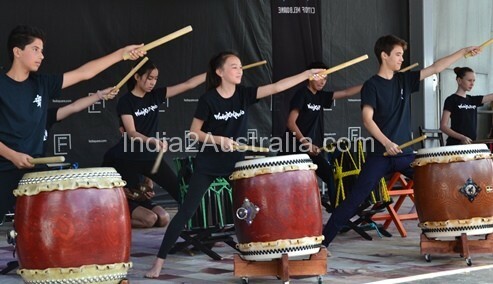 The images in this article are from 2015 Japanese Summer Festival held at Federation Square, Melbourne on 8th March 2015. 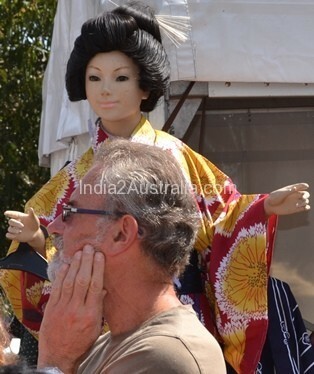 The first known Japanese settler to Melbourne was Sakuragawa Rikinosuke in 1871. 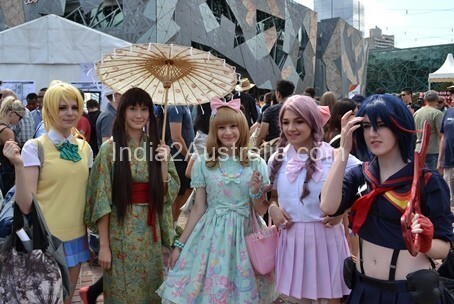 Melbourne was the first entry point for many Japanese in Australia. Early settlers worked predominantly in tailoring business in the city and South Yarra or as houseboys. Independent merchants arriving after 1904 on passports either established trading companies or worked as interpreters at the port. 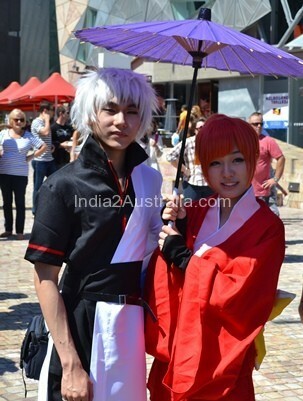 By the 1920’s the Japanese trading company network had spread throughout Australia. Companies imported Japanese fabrics and fancy goods for Melbourne’s department stores. They exported wool, live sheep and other primary produce. Most of these people left during 1941 with the threat of war. 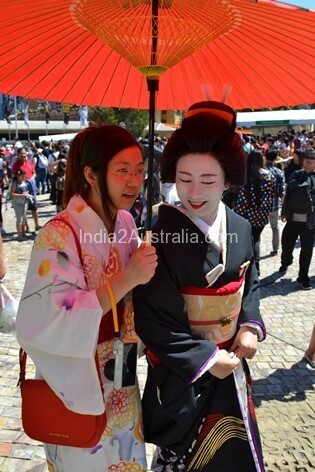 In 1945 only a handful of Japanese remained in Melbourne before war brides entered in 1952. Later Japanese companies returned to Australia for trade bringing employees and their families for average stays of 4 years. 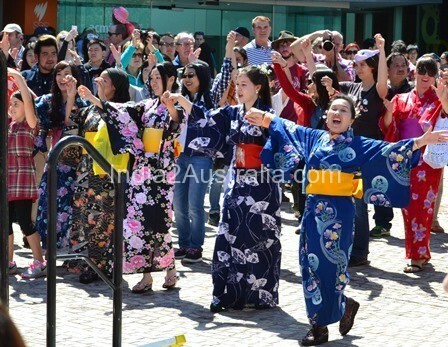 During the 1980’s thousands of Japanese arrived to work in tourism and for study purposes at Australian universities. The population of the Japanese people remained low with 3169 on permanent visas and a further 4605 on long stay visas in 2002. 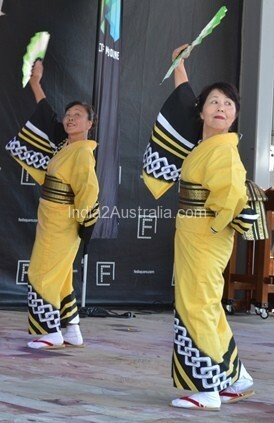 Only 22 percentages of Japanese residents naturalise. A very low percentage compared to other nationalities.